water can be easily obtained. MR- 11 is especially applicable to mixed bed systems for the wire- cutting and as polishing step after DI systems in the production of pure water. 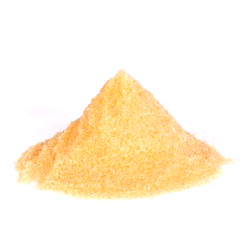 Business Description: We are the Manufacturer of Ion Exchange Resin,Ion Exchange Resin for Water Treatment,Ion Exchange Resin for EDM Consumable. MR 11 is a ready to use mixed bed comprsing strongly acidic and strongly basic(type I)gelular cation and anion exchanger. Both components are highly regenerated and specially cleaned. So high purity water can be easily obtained.